Thank you for your interest in attending Florida Poly Con Open House. Due to high demand, the Open House is already sold out. Still interested in attending Florida Poly Con? Florida Poly Con is a one day student-run convention hosted at Florida Polytechnic University. This annual event has become a staple to the community ever since its first year in 2015. 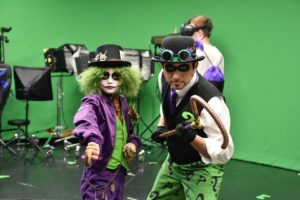 The experience offered by FLPolyCon includes a full realm of entertainment for people of all interests, including anime, sci-fi, horror, comics, and video games. Florida Poly Con is open to the public and tickets can be purchased online or at the door.